The MeeGo powered Nokia N9 may be among the underdogs on the smartphone scene, but it still has its small, yet loyal group of followers. And Nokia has not given up on the device at all, given that a MeeGo 1.2 sotware update was released for it not long ago. However, power users might have been a bit frustrated by the fact that the MeeGo platform restricts the access to all of the device's inner workings. Until today, that is. Just like iPhones can be jailbroken and Android smartphones can be rooted, the security framework of the Nokia N9 can now be penetrated with a newly announced software tool. It is called Inception and allows you to "liberate your Nokia N9's full potential", as its creator states. That is, of course, as long as you know what you are doing. Inception will grant power users with the privilege to run their own software on their Nokia N9, as well as to install custom app developed by the community. It also enables the customization of N9 system packages, the installation of new kernel modules, and deeper customization of the platform itself. However, it opens the gates for malware attacks, not to mention that you might end up with a bricked device in case something goes wrong. But if you are confident in your code-crunching skills, just follow the link below for a full Inception installation guide. If you manage to tweak your Nokia N9 in a very cool way after installing it, do not hesitate to brag about it by dropping a comment below. nokia will only need to product the hardware.. PLEASE BE ACCURATE. 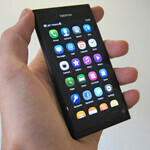 Nokia N9 gives already root access to its users. Inception tool "simply" remove some security restriction in nokia-aegis components. It's not a root and it's not an exploit. Infact, to install Inception package you need to be root in N9 terminal using "devel-su" command. I don't think waiting for N9 v2 will prove to be helpful, right? I should just buy this amazing thing and hack the heck out of it.